Bob Marley's culturally powerful, spiritual and socially conscious music has continued to unite and inspire people from across the world. Marley' songs of African unity, Pan-Africanism, struggle for survival, love, peace, and protest remain relevant and powerful. Here's our selection of Tuff Gong's most powerful songs loved across Africa. Bob's music and message is culturally, spiritually and socially focused, and remains an inspiration to many. 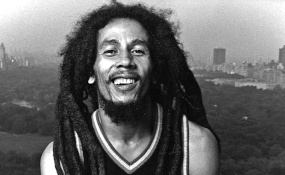 Here's our selection of Tuff Gong's most powerful and inspirational songs loved across Africa. - From the album Survival, released in 1979. It was performed at the first Zimbabwean Independence Day concert in April, 1980. 3. Get Up, Stand Up: Bob Marley & the Wailers. - The song is about taking action to fight oppression. Bob Marley wrote it together with Peter Tosh. It originally appeared on The Wailers' 1973 album Burnin'. - Bob Marley song from the album Survival (1979). The song uses Marley's most militantly Rastafarian lyrics. - The song was written by Bob Marley. Off the album Survival, the eleventh studio album by Bob Marley & The Wailers released in 1979. Bob Marley & The Wailers from their 1977 album Exodus.